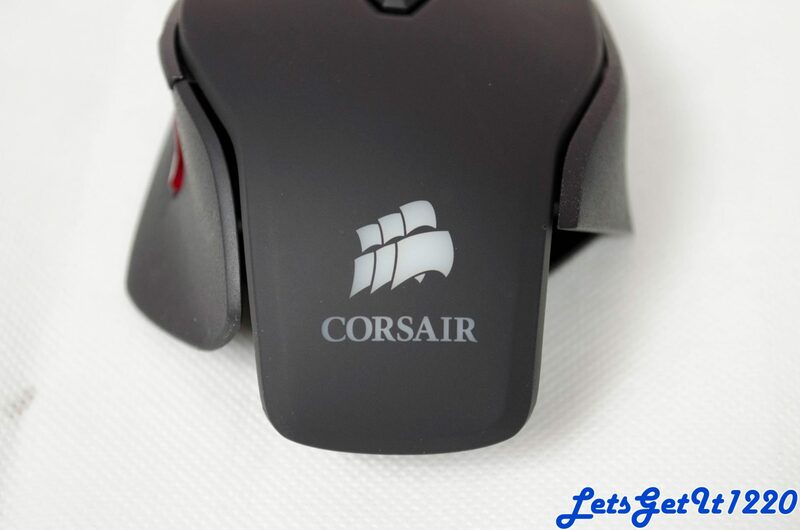 Peripherals are another one of those things that are very subjective to each individual users and their needs and today I will be taking a look at a budget orientated gaming mouse. 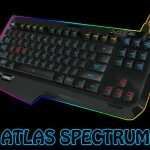 However, there are still a few general things to consider before purchasing. Do you need all the bells and whistles, or is this just a stop gap until you can save for something better? 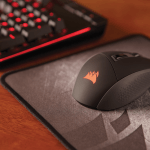 When it comes to mice, do you need any extra buttons? If so, how many? Do you want an optical or laser sensor? What is even the difference between sensor types? Are Omron switches any good? Well, I can not answer all of those questions for you, but I can try and help make your life a bit easier today by giving you my thoughts on the Logitech G100s Optical Gaming Mouse. 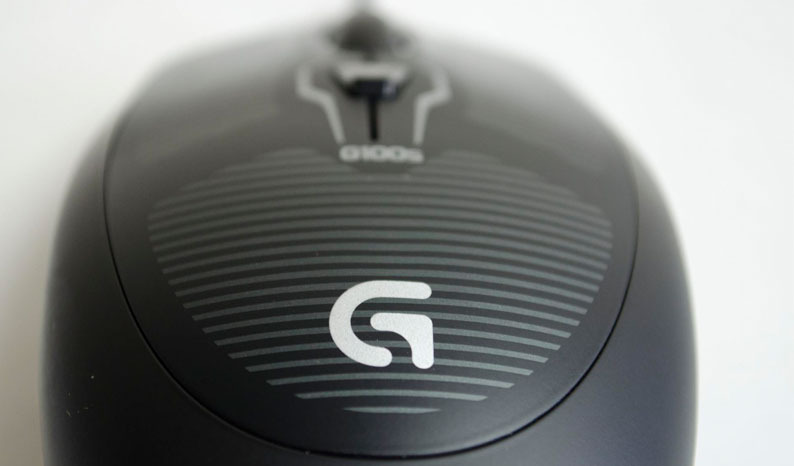 The G100s features a 2500 DPI that can be changed on the fly thanks to the button below the mouse wheel. The Delta Zero sensor allows for precise movements while the 2-millisecond report rate means the G100s communicates with your PC 500 times per second. 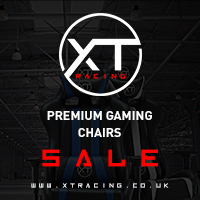 The G100s also features a 500 Hz polling rate and is ambidextrous so should be comfortable for most users. The G100s definitely sounds good on paper, especially when considering its price tag, but how will it measure up? Let’s take a closer look and find out! As mentioned, the G100s is ambidextrous so should be a good fit for a lot of users, though it is a bit small. There are also no extra buttons to worry about which help make the ambidextrous design more worthwhile. 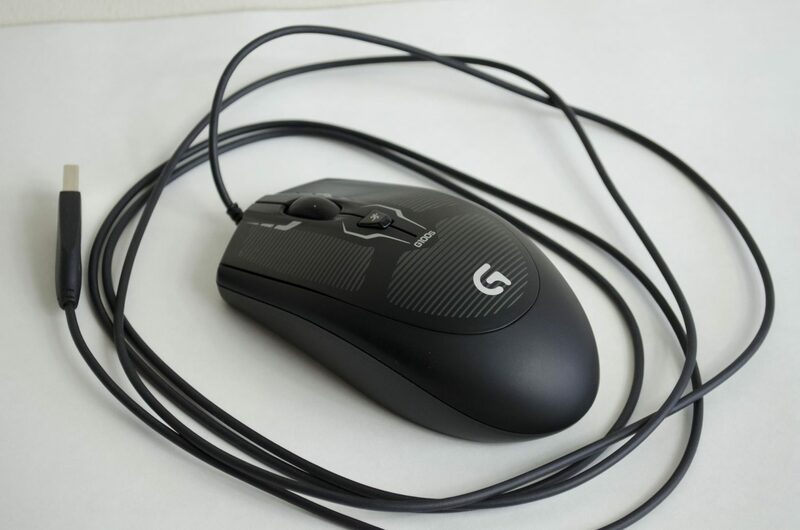 Though this is a budget orientated mouse, Logitech G has done a nice job with adding a bit of a design to the top of it to help it stand out from the rest. One of my favourite little designs features was the little running man type icon on the DPI switch button. Aside from that, there is some nice line design around the G100s, a few of which look to be placeholders for where your fingers and palm will rest when using the mouse. 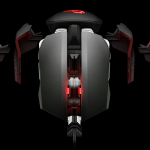 The G100s features the 2 standard mouse 1 & 2 right and left buttons and, of course, comes with the mouse 3, scroll wheel click button. 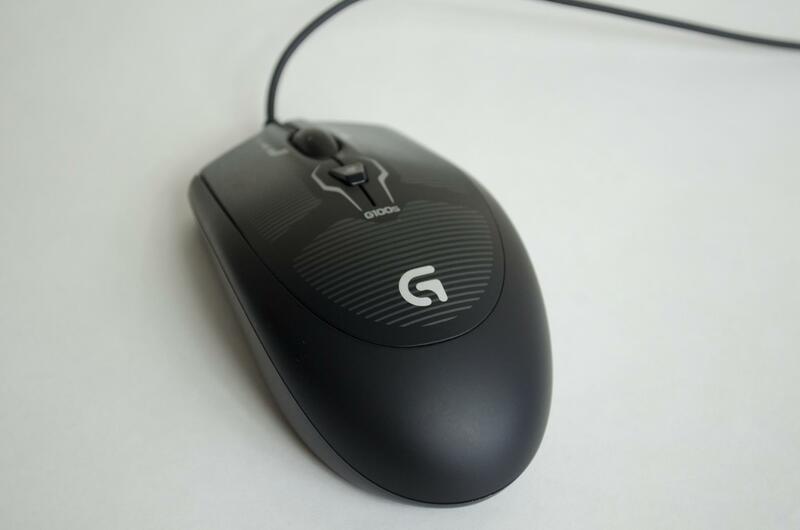 Logitech G has gone with a simple design for their G100s and it has worked out well as not all users want a mass of extra buttons on their mice. 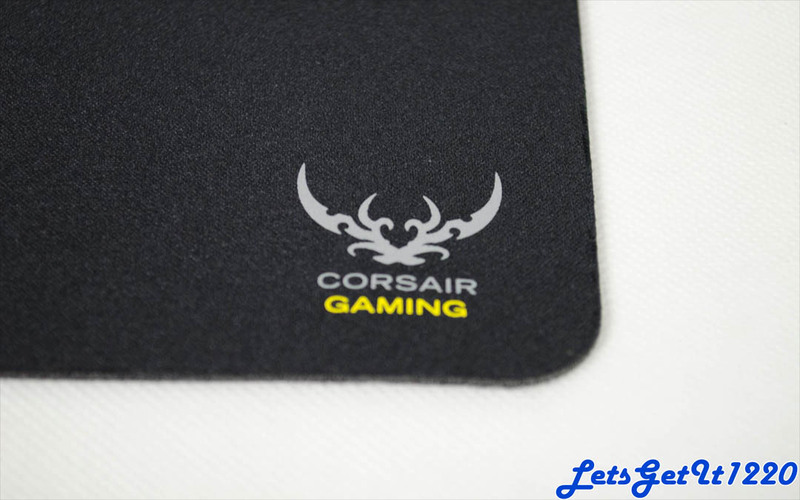 On the bottom of the mouse, we can see four rubber padded areas to help the mouse glide smoothly across the users preferred surface. We can also get a look at the Delta Zero sensor which is right in the middle where it belongs. 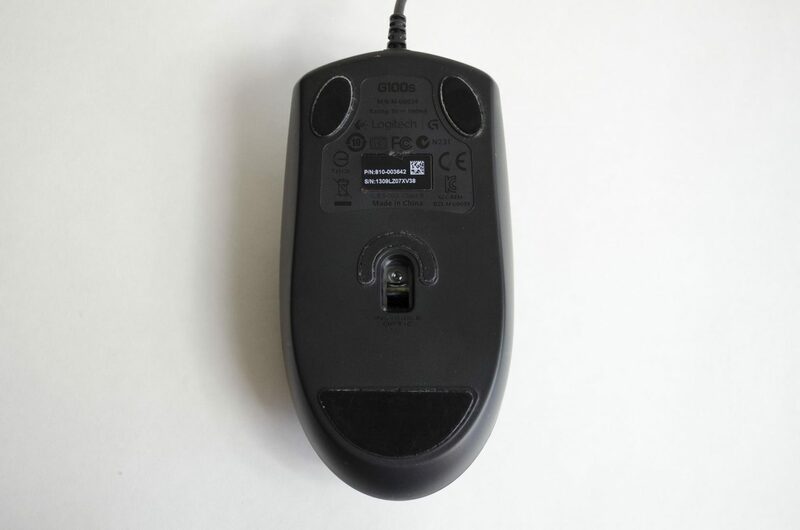 As this is a basic mouse, the USB cord represents this. 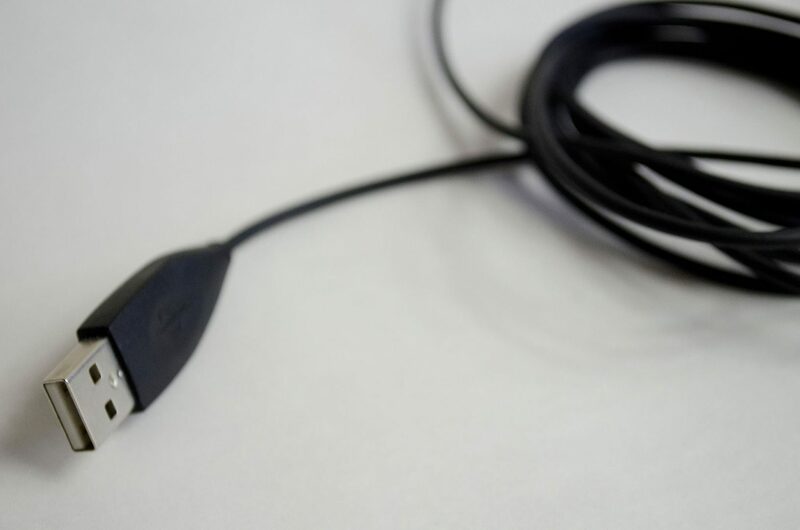 No fancy braided cable or connector end here, just your standard USB cabling. The performance of the G100s was quite decent for what it is. Putting it through my normal tests using various games, I didn’t seem to run into any problems. Everything felt smooth and fluent and once I got used to the difference in DPI, I was well on my way to some serious fragging. 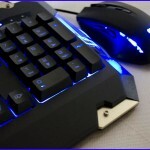 When it comes to gaming I am primarily a FPS gamer which fits perfect with the G100s as there are no extra buttons, though one or two more buttons wouldn’t hurt! To get things kicked off, I loaded up Dirty Bomb, which has been my go to game lately. The reason for this is that I should be able to tell the difference in my gameplay, due to using the G100s. Long story short, I could definitely tell there was a slight difference, but it wasn’t overly noticeable. After a few games I fell right into the groove and was almost back to my normal self, which was great. For the rest of my testing, I played some BF4, CS:GO and a bit of Quake Live (QL), one of my all time favourite games. Everything was pretty normal except for when playing Quake Live. When playing QL, I normally jump into a game of rocket/clan arena which is extremely fast paced and will easily tell you if a mouse isn’t up to its job. Now, again, a lot of this is personal preference and while I didn’t quite feel like myself in QL, the mouse was still moving around smoothly, but something just didn’t feel right. 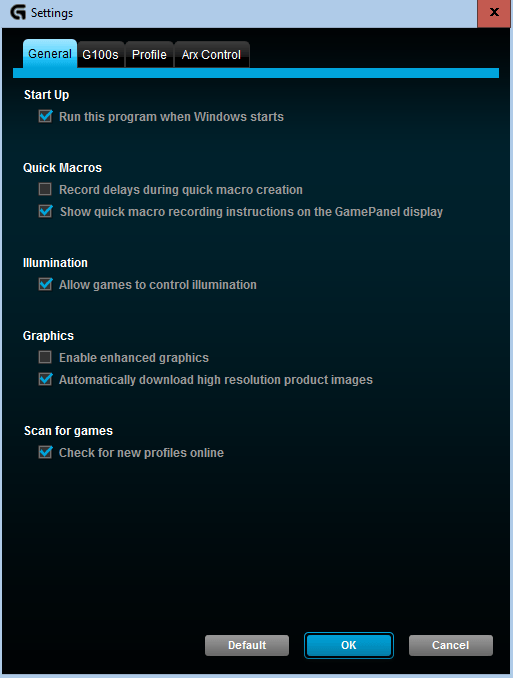 I don’t think it was a fault with the mouse, more of a limitation due to the 2500DPI and my personal preferences. For a bit of fun, I downloaded a mouse testing software from the web. 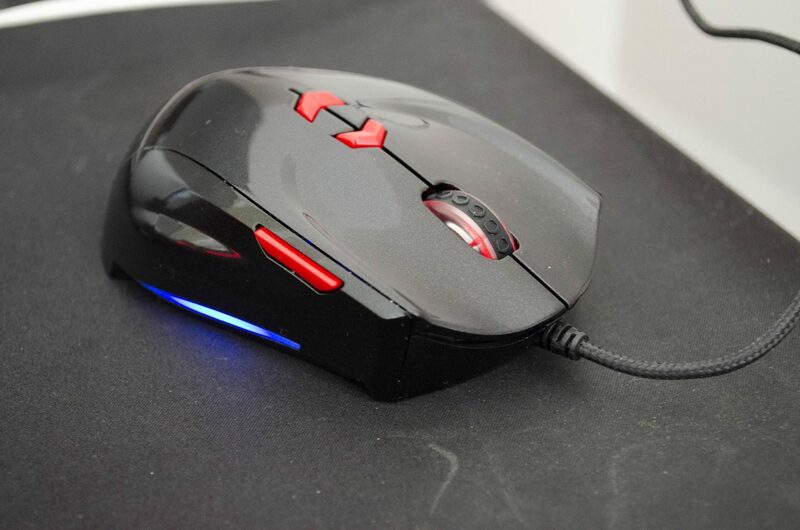 The idea of the software is to test the speed and precision of the software and as you can see below, the software recognized the mouse as having a 499 Hz when it has a 500 Hz rate, not bad at all. As for precision, it measured it at 96.8% which is great. To put this into perspective, if a PSU had this 96.8% rating, it would be labeled as a Titanium PSU, which is better than Platinum and is the best rating you can get at this time. So all in all, the testing went quite smoothly and I was rather impressed. 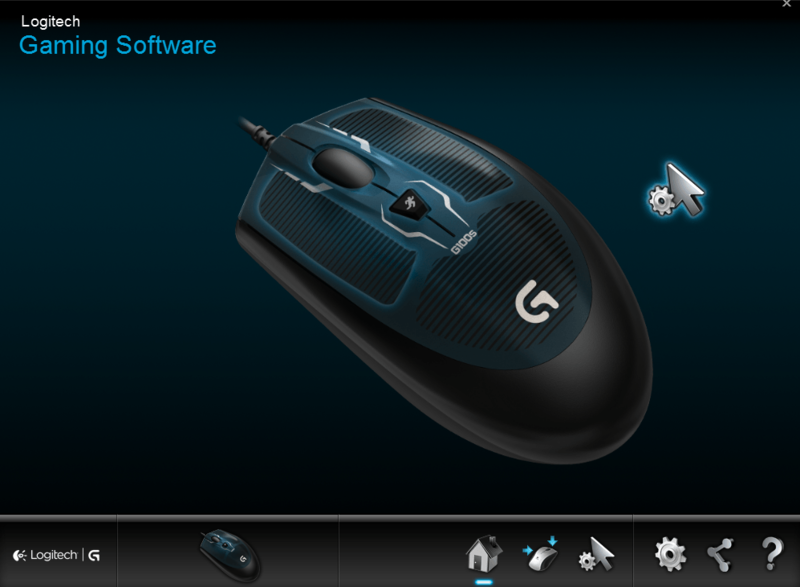 The Logitech Gaming Software is easily downloaded from their website HERE and helps you customize the mouse to your liking. While there isn’t a whole lot to do on the G100s, you can still manage your DPI settings and a few profiles if you wish which is nice. One of the things I liked to see in the software is you can set profiles up based on what game you are playing, this is a massively handy feature, especially if you play different genres of games on a regular basis. 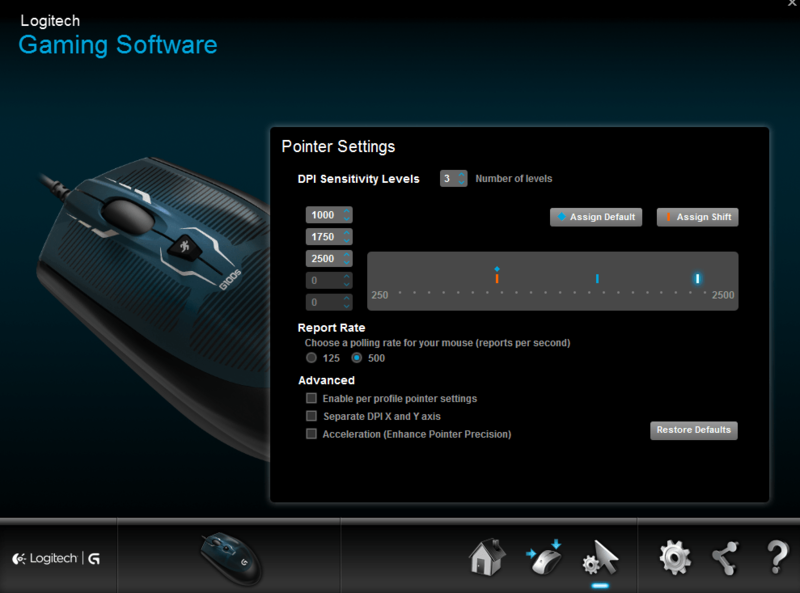 The software also allows you to change the report rate of the mouse and you can also enable acceleration which is supposed to enhance the pointer precision. Well, the time has come, I have used the G100s for what I feel is a reasonable amount of time and have gotten comfortable enough with it to give my final thoughts on it. Overall, I was quite pleased with the performance of the G100s and for the most part, I didn’t run into any issues. The only issue I had was in Quake Live and as mentioned, I feel this was more a limitation of the DPI, rather than any error or failure with the G100s. Aside from that, everything was smooth and as you can see from the performance test I did, the G100s is right on point with its stated specifications which is all we can really ask from it. 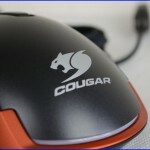 Overall, I couldn’t fault this mouse at all, especially when the price is taken into consideration. The G100s is ambidextrous which immediately earns it a couple of extra points in my book. I don’t know why but I have always like a symmetrical mouse, just fits my hand nice and feels comfortable. Again, this is down to user preference so is really kind of hard to judge. 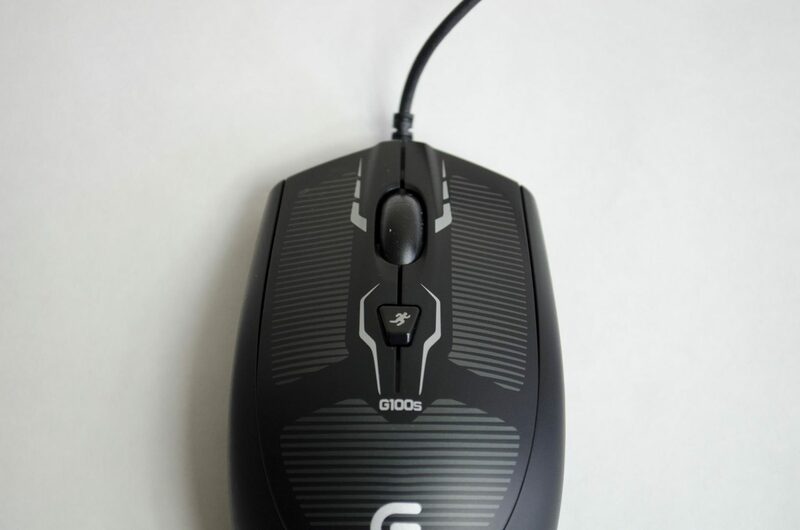 However, what I can tell you is that the G100s is a bit on the small size for a gaming mouse. At the end of the day, it was comfortable for me to use, but this may be something you would want to test out for yourself before deciding. 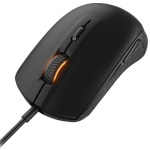 From a technical aspect, the G100s is to be a budget friendly mouse that offers good performance and precision and it does. The 2500 DPI Delta Zero sensor accompanies the G100s’ ambidextrous design well and the 2-millisecond report rate just helps set it all off and make it a decent mouse. 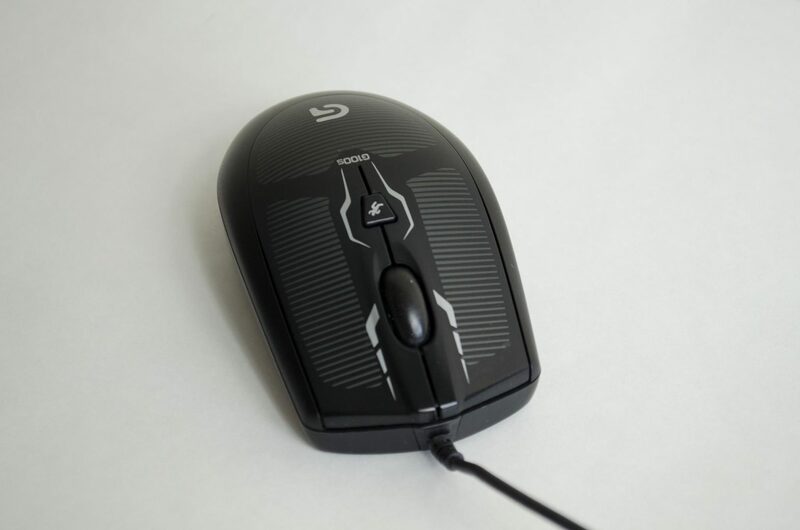 The addition of the on-the-fly DPI changing and the Logitech Software are what put the G100s into the “Gaming” category as other than that, it is a very standard mouse. As new mice come out, the G100s has gone down in price a bit and can be had for just under £20 here in the UK. While this is not a bad price for what is on offer, I feel if Logitech G could lower the price just a bit more it would help make this mouse stand out as a great budget gaming mouse. When all is said and done, the Logitech G100s is a solid offering, though it may be worth looking around a bit before choosing it. 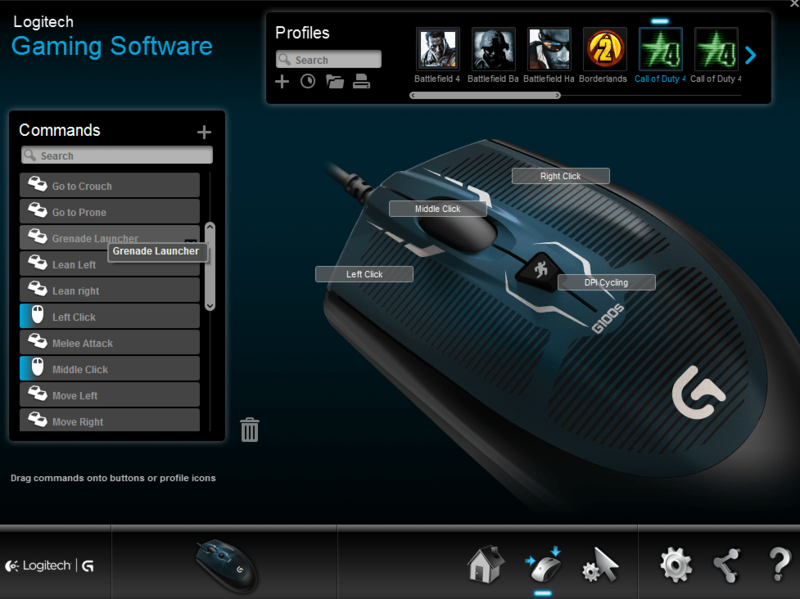 I would like to say Thank You to Logitech G for sending their G100s Optical Gaming Mouse in for review. 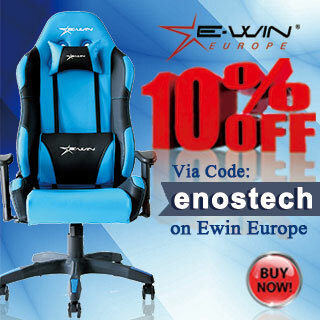 - Offers decent performance for what it is. 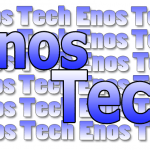 - Downloadable software is easy to use. - Is kind of small. - Price could be a tad better.